Man. That seems to what I say ALL THE TIME. Shame on me! It’s been 2 weeks since I have left my job and now am UNEMPLOYED! (and it took me so long to start blogging) It seems a bit shameless la, or rather I’m proud of it… but I’m happy! For now! Been catching up on all the projects (scrapbooking) I was meant to do. Forget abt Xmas cards la… by the time I’m done, new year liao… hehe. And besides, IT’S MY BIRTHDAY!! hehe. Oh well. old liao.next decade liao… i don’t feel old at all! Ok la, rambling. 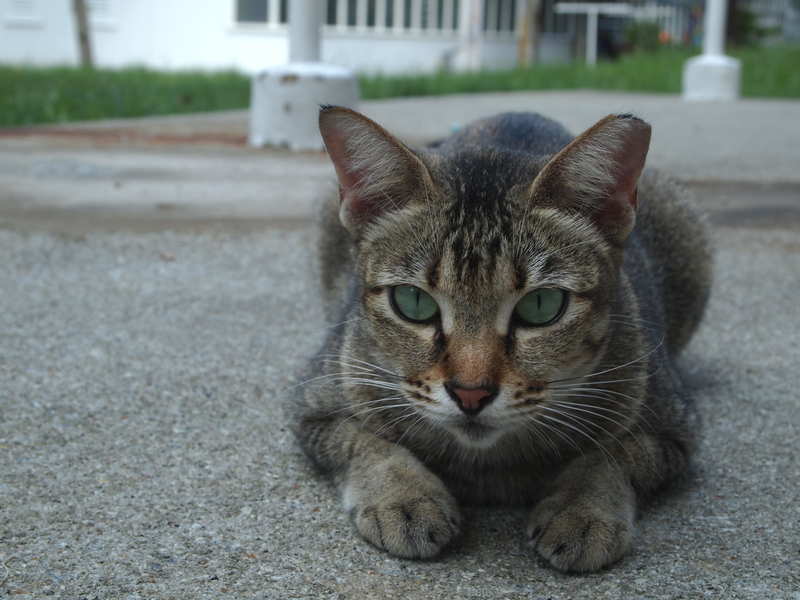 Leave you with a cute cat I took during my photography outing.